Artistic director Heather Maloy treats the students in her Muses Company as she would her Terpsicorps professionals, and her gift lies in bringing out the best in every dancer. The program is small and each student has the opportunity to be coached in both a traditional classical work and an original piece created specifically for them by Maloy, a critically acclaimed professional choreographer. The company performs at Asheville's Diana Wortham Theatre, in Winston-Salem at the Festival of NC Dance, at Terpsicorps' own studio performance space and at various events and locations in the Asheville area. The Muses does not strive to perform full length ballets, but instead focuses on giving each participant an opportunity to explore a wide range of styles and have their own moment to shine. 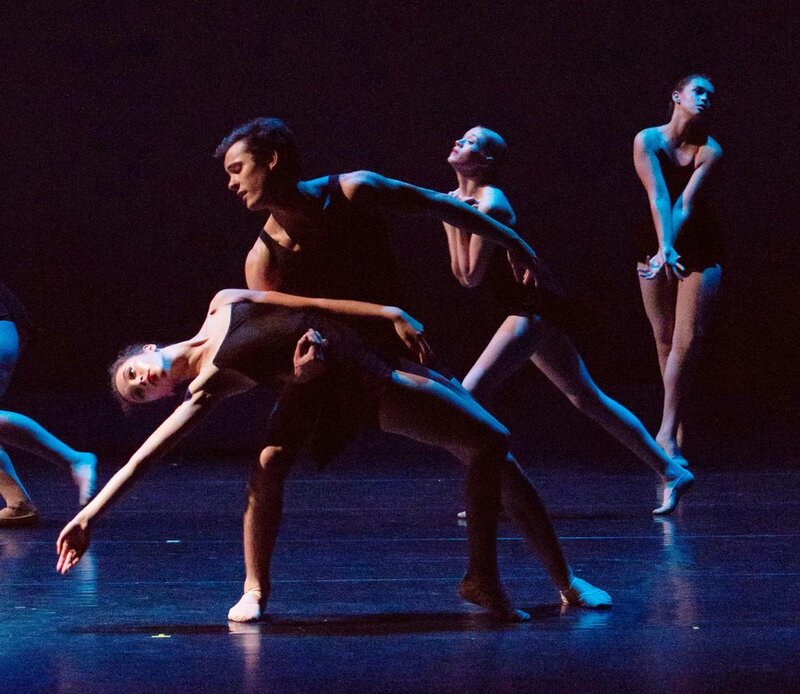 All Muses company dancers must be a part of the Academy's intensely structured pre-professional division program, featuring ballet and pointe classes that are taught by Maloy, as well as modern, contemporary, yoga and PILATES by other world class faculty. Classes are small, giving the instructors the ability to cater to each student's specific needs. Maloy believes that dance training should be both a positive esteem building experience and a chance to learn self-discipline and respect for others. In her 14 years of teaching at various studios in the Asheville area and running the Muses of Terpsicorps, she helped over fifteen students fulfill their dream of becoming year round students at UNC School of the Arts' world renowned high school dance program, as well as joining the dance departments, (many on substantial scholarship) at Florida State, Boston Conservatory, the Ailey School at Fordham University and the Central Pennsylvania Youth Ballet. Students she has worked with are now seen on professional stages with Terpsicorps Theatre of Dance, Ballett of National Theatre Mannheim, Lucky Plush Productions and Cocodaco Dance Project, Carolina Ballet, Missouri Contemporary Ballet, T. Lang Dance and Staib Dance. They have also been previously at Pacific Northwest Ballet, Miami City Ballet, Basel Ballet in Switzerland, Elephant in the Black Box in Madrid, Spain, Charlotte Ballet, Pittsburgh Ballet and Lydia Johnson Dance Company in NY. Maloy's connections in the professional dance world help give the students a realistic perspective of what they will need to succeed and the tools with which to get there. "Heather Maloy has not only the knowledge and the experience that took my dancing to a new level, but also the commitment to help me reach a higher potential. As a ballet teacher and choreographer she shows you a spectacular way to learn about the professional side of dancing." - Jeff Ewing, Terpsicorps Company Member, Graduate of Boston Conservatory, Member of Lucky Plush Productions and Cocodaco Dance Project.